All Kentuckians, including coal miners who risked their health and safety, deserve a Just Transition as our economy shifts. Affected workers need access to health care, a decent income and a secure retirement. And our communities need more good jobs and opportunities for people to thrive – no matter where we live, what our age, gender or skin color may be, or what luck we’ve had in life. 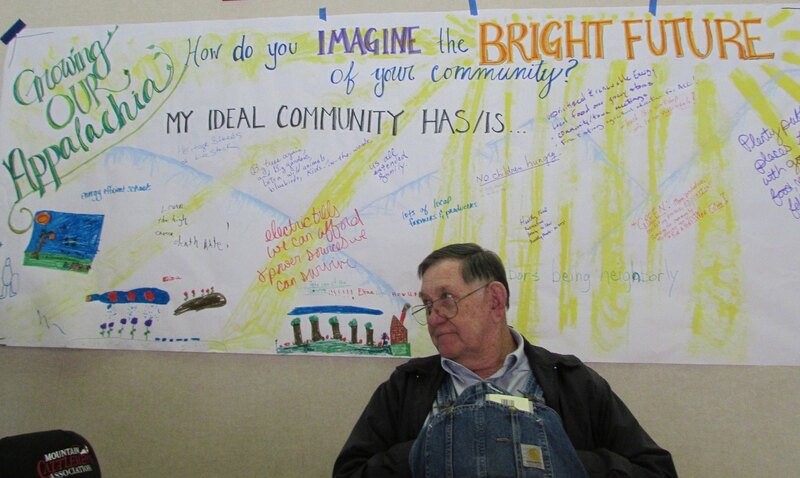 It won’t be easy to build a brighter future, but we can start by fixing what’s broke. Unfortunately, right now Congress is harming, not helping, our sick, retired and laid-off miners and their communities. Black lung disease is on the rise, and a federal trust fund to support sick miners and their families is running out of money. Thousands of mining jobs have vanished in recent years, but Congress has not passed the RECLAIM Act, a bill to put thousands of people to work improving damaged land and waterways. And the hard-earned pensions of thousands of miners and their families are at risk if Congress continues to talk, but not act, on a needed fix. Strengthen funding for the federal Black Lung Disability Trust Fund. Pass the bipartisan RECLAIM Act (H.R. 1731) to create thousands of good reclamation jobs and support longer-term economic development initiatives. Pass the bipartisan American Miners Pension Act (H.R. 3913 / S. 1911) to ensure that retired union miners and their surviving spouses get the pensions they have earned. The full report can be viewed by clicking on the cover image left, or downloaded here. the most severe form of black lung disease, called progressive massive fibrosis (PMF), is affecting a larger share of the region's miners than at any time in history. 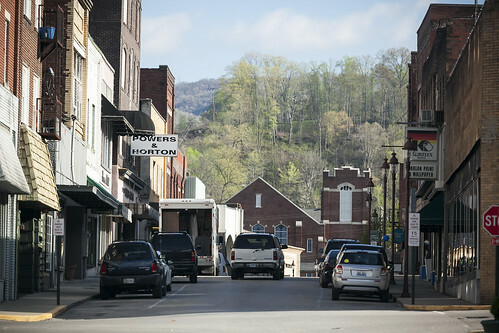 "I was born and raised in Harlan County. I come from a long line of coal miners. My father had black lung, my brother had it, and my two grandfathers had it. One of my grandfathers had it so bad, there were times he had to use his hands to push his lungs up to breathe." As the report describes, the black lung epidemic is made worse by the fact that the federal Black Lung Disability Trust Fund is running out of money. That fund provides critical benefits to miners and their families in cases where the coal company they worked for has gone bankrupt or is unable to pay benefits. More than 4,000 households in Kentucky received health benefits and financial support from this federal fund in 2017. The Trust Fund is supported by an excise tax on each ton of coal mined in the US. But Congress never set the fee high enough to fully cover the costs of caring for sick miners and their families. And 1985 Congress planned for the fee to drop by 55% at the end of 2018 - this year! With more miners getting severely ill and more coal companies going bankrupt, Congress must do right by our miners and their families by keeping the coal excise fee at its current level, or even increasing it. Otherwise, the fund’s debt is expected to skyrocket to $15 billion by 2050, creating unacceptable risks and uncertainty for the workers who gave their very breath to the industry. The federal Abandoned Mine Lands (AML) fund exists to address health and safety problems by restoring land and waterways damaged by old mining operations. It currently totals more than $2.5 billion. The RECLAIM Act (H.R. 1731) is bipartisan legislation sponsored by Rep. Hal Rogers (KY-5) to create jobs and revitalize communities by funding economic and community development tied to AML reclamation projects. The RECLAIM Act calls for $1 billion of the fund to be invested over the next five years, creating about 4,600 good new jobs. About $100 million of that is expected to be invested in eastern and western Kentucky. According to the report, the top 10 Kentucky counties with abandoned mine sites that need reclamation include: Hopkins, Muhlenberg and Webster counties in Western Kentucky, followed by Boyd, Pike, Harlan, Leslie, Floyd, Johnson and McCreary counties in eastern Kentucky. All people deserve the peace of mind that comes from a secure retirement. And in the US, unionized coal miners who risked their health and safety in the mines were the first to win lifetime health and pension benefits from their employers. The United Mine Workers of America (UMWA) pension plan was established by President Harry Truman in 1946 and revised by Congress in 1974. That victory helped pave the way for other unions to win guaranteed pension benefits for millions of working people. But today, the federal fund that provides pensions to nearly 90,000 retired and disabled UMWA coal miners and surviving spouses is at risk of insolvency. The UMWA says the fund could collapse within a few years. This crisis is due, in large part, to the recession of 2008 and a dramatic decrease in employer contributions following coal industry bankruptcies. If Congress allows the UMWA pension plan to fail, the obligation to pay miners’ pensions will shift to another federal fund, the Pension Benefit Guarantee Corporation (PBGC). That cascading debt could bankrupt the PBGC, which is responsible for the pensions of about 1.5 million other workers, and is the backstop for millions more. The UMWA and many community supporters are calling on Congress to pass the American Miners’ Pension Act (H.R. 3913 & S. 1911). This bill will ensure that the 1974 Pension Plan can continue to pay the hard-earned pensions of retired or disabled miners and their surviving spouses. 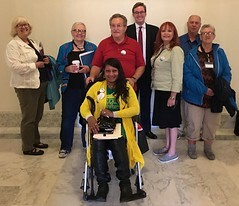 1) Sign and a share a petition in support of the Black Lung Disability Trust Fund and sign a letter to Congress in support of all three measures. 2) Ask your local city or county government to pass a local resolution urging members of Congress to do right by our miners and communities. 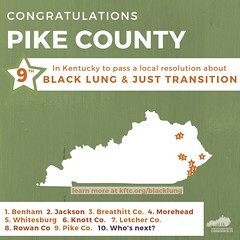 Ten Kentucky communities have already taken this action! Contact lisa@kftc.org for more information. 3) Call Sen. Mitch McConnell, Sen. Rand Paul, and your congressperson at 202-224-3121. Tell them to pass the three Just Transition measures above. 4) Join and/or support Kentuckians For The Commonwealth to help shape a Just Transition.